Over time, the exterior elements of your home will deteriorate, requiring repair and replacement. Many people blame their old windows and doors for bad curb appeal, but it’s sometimes the exterior pain that affect the home’s aesthetic as well. Read on as Serpaco Painting, an exterior home painting company, lists the signs your home needs repainting. This happens when the paint starts losing its adhesion to the base coat or substrate like drywall, plaster and wood. The blisters will either pop on their own or harden in place during the drying process. They may also develop due to improper paint application or extreme temperatures. Your wall paint may lose its vibrant color due to sunlight exposure. Faded paint in shaded areas, however, may be caused by water dripping down the roof or gutter. Inspect this area to detect any issues and avoid fading paint. One of the primary reasons you want to repaint your walls is to preserve their charm. Interior and exterior walls are highly noticeable, so flaking wall paint can compromise their look. Get in touch with your local painting contractor to help refresh your home’s appearance. This paint damage is common on plaster ceilings and drywalls. It may be caused by moisture, high humidity, excessive condensation, poor surface preparation, sunlight exposure and corrosive substances. 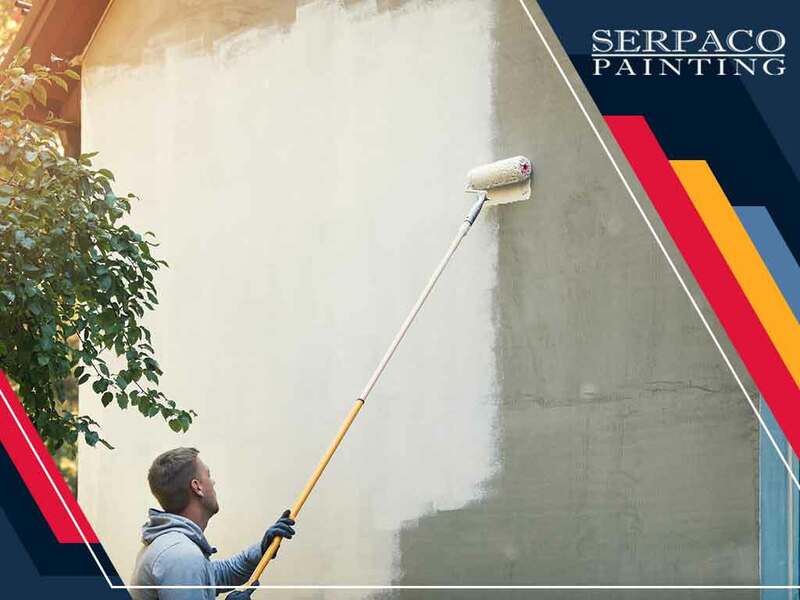 Turn to a reliable residential painting contractor like Serpaco Painting to help bring your home back to life. Call us today at (919) 301-0703 or (704) 215-4992. We serve residents of North Carolina, including Charlotte and Raleigh.